Mercedes: a new short by Amat Escalante, with Jazkamer soundtrack. 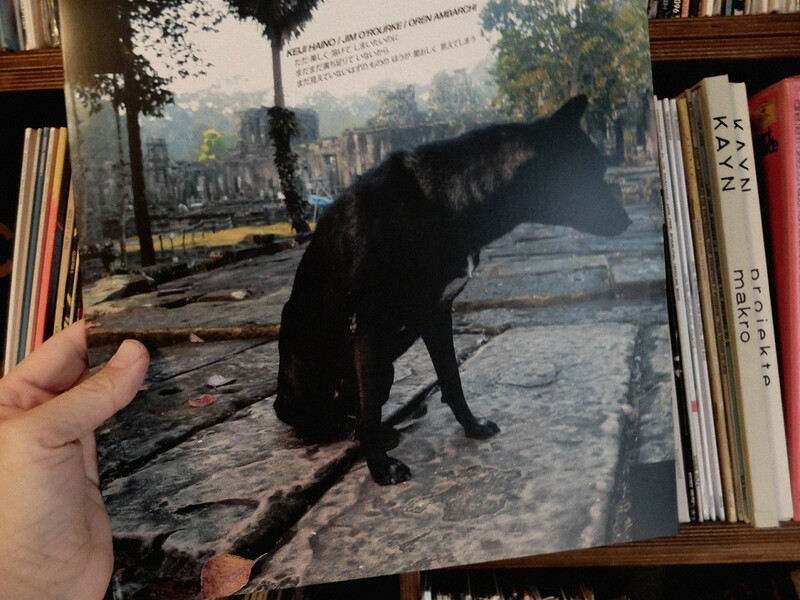 The new Keiji Haino / Jim O’Rourke / Oren Ambarchi LP/CD on Black Truffle titled “Only Wanting To Melt Beautifully Away Is It A Lack Of Contentment That Stirs Affection For Those Things Said To Be As Of Yet Unseen” features my photo on the front. It’s a shot of a dog I took in Cambodia. Available from here and as with previous installments in this trio’s series highly recommended. 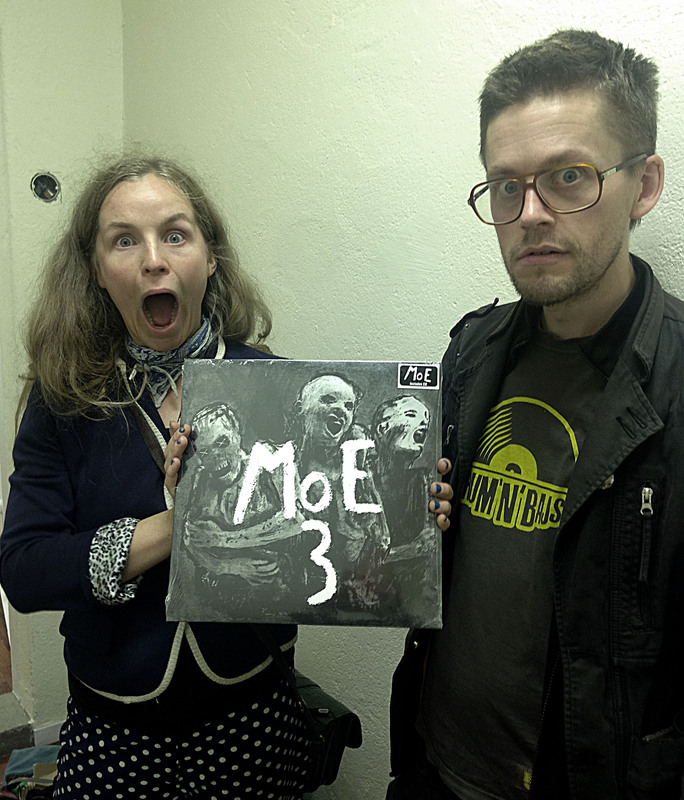 I’ve designed the cover for the new album by the Norwegian band MoE. 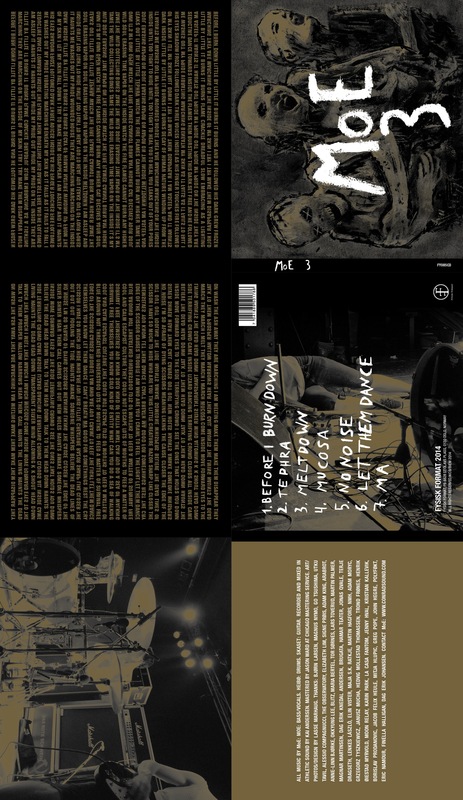 Their album “3” is being released by Fysisk Format in three formats: vinyl, CD and cassette. The vinyl is printed with silver pantone base, printed inner cover and has a copy of the CD included. The CD is a six-panel digipak with gold pantone base. The cassette has a different version of the artwork. Order your format of choice from Fysisk Format. And I interviewed MoE for the third issue of Personal Best. Still some copies left. Oh, and great band (obviously).